I am an outdoor enthusiast and a survivalist. Thus, a flashlight is a must-have tool for me. As a flashlight hobbyist, I have used more than hundred of flashlights including most popular brand like Fenix, Klarus, Surefire, Nitecore, Coast, Streamlight etc. Not only use I have also tested each flashlight brightness, beam distance, switch, modes, and all essential features. So, it is an easy task for me to identify the best tactical flashlight or a bad flashlight. 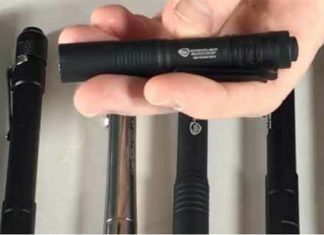 You may find lots of EDC flashlights or Keychain flashlights list, but they are not suitable for rough and tough use. But, What is the main difference between a tactical flashlight and a normal flashlight? In simple Tactical tools mean “any types of gears that can take action immediately”. A tactical flashlight is a lighting tool that is tactically built, can be used for the tactical purpose like as self-defense and can survive rough and tough condition. A normal flashlight is not suitable for rough use and could be easily damaged for no reason. 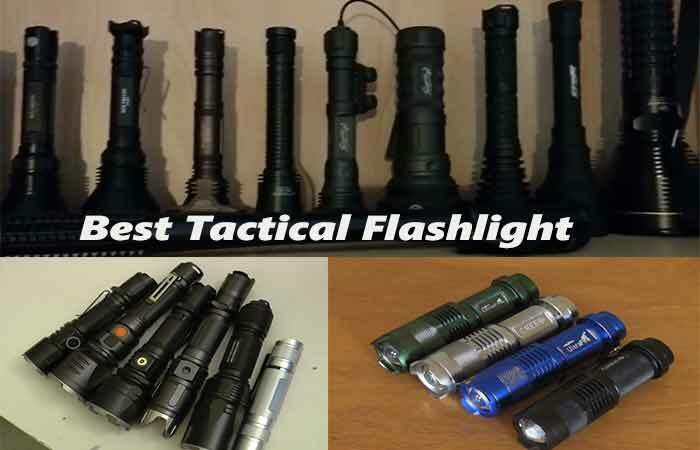 If you want a reliable and high-quality tactical flashlight, then buy from this list. 4 So, why you need a good tactical flashlight? 4.1 What is the use of a tactical flashlight? One of the reasons that makes tactical LED flashlights to be so special is that they can resist impact and last longer. In addition, they have more Lumens when compared to normal lights. These flashlights can be used in tough conditions and still deliver quality light. They normally have different light modes with strobe and SOS modes included. Besides lighting, tactical flashlights usually have features like a strike bezel for protection in case of an attack. But with so many brands and models on the market, choosing the best tactical flashlight can be a problem. We’ve created this article to help you know how to choose a quality tactical flashlight that will meet your needs. For you to select a quality and reliable tactical light, you have to know the features that it has and how they benefit you. Read on to know what to look for in a quality tactical LED light. All the best tactical flashlights are made with military grade materials. The most common material that you will be likely to find on almost all tactical lights is military grade aluminum alloy. This is a strong material and it is also lightweight. Make sure that the body of the flashlight is made of hard anodized finish so that it can defy rust and corrosion. Tactical flashlights have different brightness levels. It depends on the brand and the number of Lumens the flashlight has. If you want a very bright light, you should consider picking a Tac flashlight with a higher number of Lumens. For instance, at least 1000 Lumens. Also, tactical lights usually have a higher runtime when compared to normal lights. The higher the brightness, the farther the beam will reach. Even though tactical flashlights come packed with lots of features, they are still lightweight and easy to carry or use. Tactical lights are mostly made of aluminum, which is a lightweight material. If you are going on a long trip, you want to keep your weight down and having such a lightweight device helps a lot. 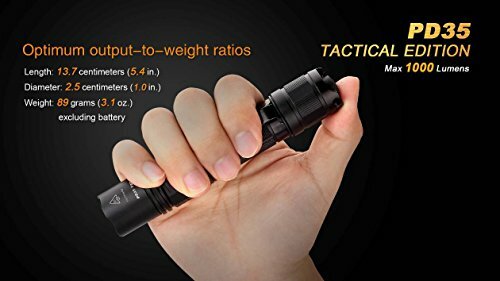 Tactical flashlights are usually small in size. With regard to the nature of their use, tactical lights should be compact and easy to store. That’s why most of them are considered to be EDC flashlights. Their size makes keeping them while out camping or hunting to be easy. You can keep the flashlight in the pocket, wrap it around your wrist or belt or keep it in the backpack. Normally, AAA batteries are smaller than the AA batteries. Thus, flashlights size lots depend on battery too. This is a very crucial factor when looking for the best tactical flashlight. The features that the flashlight has will determine how long it serves you and its performance. Quality features will lead to great performance. Some of the features to look for include reverse polarity protection, battery level indicator, digitally regulated output, the intelligent memory circuit, and much more. These make the flashlight to be more effective and safe to use. Another amazing feature that differentiates between normal and tactical flashlights is that a good number of tactical lights come with at least 5 light modes. These include low, medium, high, strobe, and SOS modes. Every light mode has its own purpose. For instance, strobe mode is for blinding an assailant and SOS mode is for requesting for help when in danger. High mode is utilized when you want very bright light. But if you want the flashlight to run for a very long time, then you should turn on low mode. One of the distinctive features of tactical LED flashlights is that they normally come with a nice grip for holding the flashlight tight. Also, the design of these flashlights makes them be easy to store and hold. Most of the Tact LED flashlights tend to have a rough grip and non-slip and anti-roll body. This helps the user to have an easy time using the flashlight even in wet conditions. A Tactical flashlight can be classified multiple ways. They can be classified based on their size like large, medium, small, min, micro etc. Also, flashlights can be classified into various categories based on their usages. For example, keychain flashlights, headlamps, handheld flashlights, weapon mounted flashlights and hybrid flashlights. The type of battery a flashlight uses determines its runtime and brightness. The more powerful the battery is the more powerful and higher runtime the flashlight will provide. Tactical lights use a wide range of batteries with a good number of them utilizing both rechargeable and non-rechargeable batteries. These include lithium-ion and alkaline batteries. Most popular battery base flashlights are rechargeable flashlights, AA flashlights, AAA flashlights and 18650 flashlights. Rechargeable Li-Ion Batteries: This type battery is my personal preference. It is because you can charge your flashlight battery and has a longer lifespan than the one-time battery. Most of the modern tactical flashlights come with these type rechargeable flashlight cells for free. Ensure that you choose the best tactical flashlight with a high water rating such as IPX8. This will keep the flashlight functioning even if it falls in water or if it is used in rainfall. Also, divers can use the flashlight up to 2 meters for 30 seconds underwater. Also, many tactical flashlights can survive at least an impact of up to 2 meters. Check such ratings before buying a tactical light. Even some flashlights are tested by the National Tactical Officers Association(NTOA) to check the light toughness and brightness. If you find recommendation from this organization then you should consider to buy that. What do you intend to do with the flashlight? Are you searching for the best tactical flashlight for self defense? Is it for hunting, hiking, camping, defense, fishing, or diving into water? Whatever the reason, ensure that the flashlight that you choose has features that will help you carry out your duty smoothly. Tactical flashlights are normally compact in design which makes storage to be easy. Also, they usually have lanyards, holsters, and some come with carrying cases for proper storage. Ensure that yours is easy to keep. Look for a flashlight that has extra accessories so that you can have an ample time using it. Some features to look for include lanyards, bezel for striking enemies, pocket clip, a dual switch for easy operation, and carrying case. Not only is it a good idea to purchase from a reliable brand, but you should as well consider buying a tactical flashlight with a warranty. Look for a brand that offers a warranty or money back guarantee so that you don’t end up paying for a defect product. The tactical flashlights that we are going to discuss below are some of the most sought after on the market. They are durably made and reliable. Choose a flashlight that you think will meet your needs better. If you are looking for a sturdy LED light with outstanding features, look no further than the Klarus XT11GT tactical flashlight. 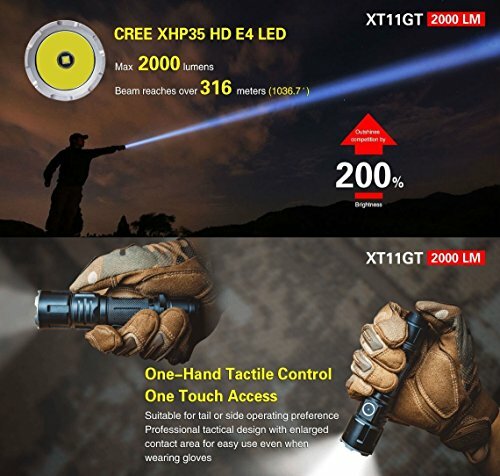 This flashlight is an upgraded version of the former XT11Gt flashlight. It comes with three different settings for use in different scenarios. These include outdoor, tactical, and advanced tactical setting. If you need a high lumen tactical flashlight then buy this light. On top of that, the XT11Gt tactical light provides an extremely bright light with its excellent 2000 Lumens. The user has a choice of 6 different lighting modes to choose from. Also, when on turbo mode, the flashlight can reach up to a distance of 402 meters. With the smart ITS temperature control system, you have nothing to worry about as the light will be adjusted according to the internal temperature. 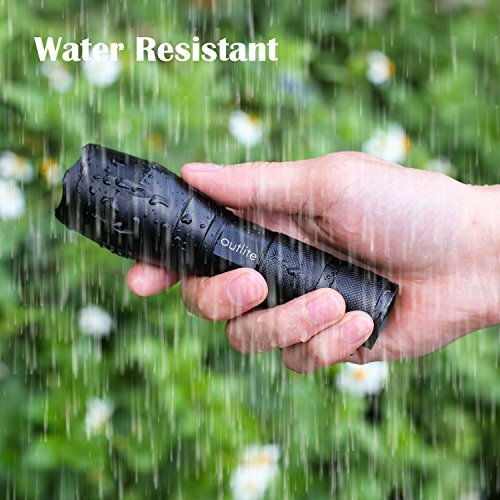 You can use this flashlight in the rain as it has a waterproof rating of IPX8. In addition, it is great for work environments as it can resist an impact of up to 1 meter. When you purchase the light, Klarus provides you with a 5-year warranty. This is one of the most reliable tactical flashlights on the market. The Fenix 1000 lumen PD35 flashlight is sturdily made from anodized aircraft grade aluminum. It is durable and very reliable in performance. The flashlight has a waterproof rating of IPX8 and thus it can be used underwater up to 6.5 feet for 30 minutes. This is the best tactical flashlight under $100. The LED flashlight uses CREE XP-L LED bulb with a lifespan of 50, 000 hours and produces bright light on a maximum of 1000 lumens. This is bright enough to light an entire camp. It has a strike bezel for protection against enemies and animal attacks. Also, you can switch to different light modes which include eco, low, high, medium, turbo, and strobe modes. So, if you are looking for a powerful, bright and durable flashlight, the PD35 is a wonderful choice. It will survive in tough conditions and it uses rechargeable batteries. The Streamlight 88052 ProTac flashlight is our favorite. This flashlight is the perfect EDC light for outdoor and tactical life. It is sleekly designed for easy carry and use. Its durability makes it be able to survive the tough outdoor environment. There is no doubt about its brightness as it offers a maximum of 850 Lumens that covers a distance of 200 meters. Also, it has a long run time of 12 hours, which is just excellent for such a small tactical light. Streamlight Protac is the top rated tactical flashlight on the market. Attach the flashlight to your belt using the belt clip or keep it in your pocket when not in use. The turbo/strobe mode will help you blind an assailant before you can hit them with the hard bezel. When the battery is low, get to recharge it easily by using a USB cable. 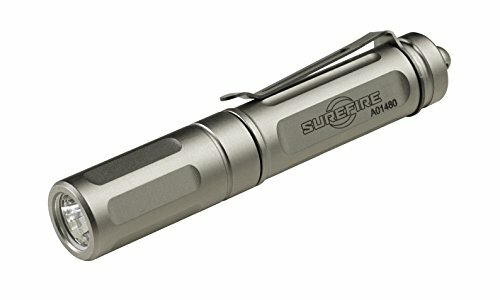 Not only is the SureFire titan plus beautifully made, but it is also one of the best performing keychain flashlights. This is typical of SureFire flashlights. The SureFire Titan plus LED light is small in size but extremely reliable. It is weather resistant and very bright. The performance of this light is supported by its smooth MaxVison beam that exceeds expectations. Switch to any of the low, medium, or high modes to fully utilize the Titan plus LED light. It is easy to operate with a head switch. Simply rotate it counterclockwise repeatedly to switch on and et output level. Sice its small in size, carrying this flashlight isn’t a problem at all. Put it in your pocket or attatch it to your belt as you proceed with your tasks. With a maximum output of 1000 Lumens, the Nitecore P12Gt light will light up the whole pitch. Also, it is accompanied by a host of features that makes it be one of the best tactical flashlight. The flashlight is built with a hard aluminum material and has a military grade hard anodized finish. It is waterproof and can resist an impact of up to 1.5 meters. The P12gt light has an excellent throw distance of 367 meters from a maximum of 1000 Lumens. Do you want to get the best self defense flashlight? Then Nitecore p12gt for you. The intelligent memory function allows the user to have an easy time using the device as it switches back to the last light mode. Use one hand to cycle through the different light modes. As well, the advanced temperature regulation will adjust brightness when the light gets hot. With 520 hours runtime, this is a great camping light and it can be placed on the tail cap to serve as a lamp inside a tent. 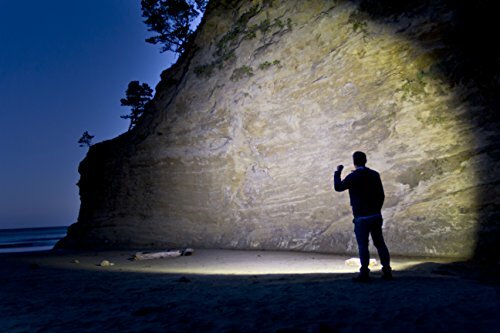 If you’re looking for an everyday versatile flashlight, the Coast HP7 led flashlight will come to your rescue. This flashlight is sturdily built to withstand day-to-day hardships that it faces during use. The HP7 is durable as it is made from Aluminum construction. It is also both water and impact resistant. So, you can use it in different bad weather conditions. If you want to buy the best budget tactical flashlight, then this light for you. Moreover, the HP7 flashlight uses an indestructible Led bulb that produces 360 maximum Lumens. The flashlight combines pure beam focusing system with a slide focus to provide an excellent outcome. Switch between low, medium, and high modes. In case you drop the flashlight accidentally, it won’t roll as it has an anti-roll tail cap. Furthermore, the Coast HP7 is small in size and very easy to carry. When you buy this best tactical flashlight, you get the Coast lifetime warranty against defects in material and workmanship. This is a great light for outdoor as well as daily use. Maglite brand is one of the flashlight companies that flashlight lovers go to if they need a military grade tactical flashlight. Made in America, Maglite is a brand that pays attention to creating robust and powerful lights. 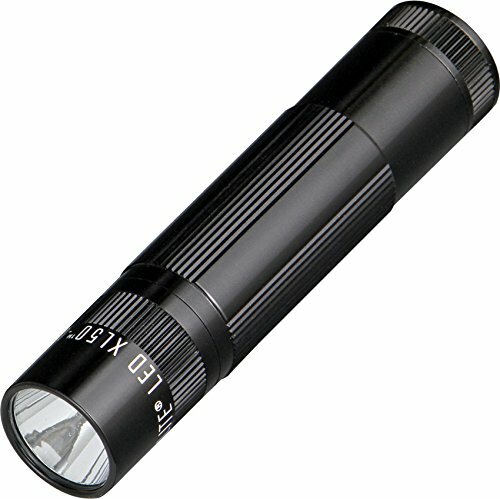 The Maglite XL50 led is an excellent flashlight with easy to use features. The simple and tactile knurl design is for easy handling when in a tense situation. Also, it has a colored lens set that allows the user to attain different colors apart from white. The flashlight has high-grade rubber seals that make the XL50 LED light to be waterproof. It is impact resistant and can withstand dropping. Choose from one of the low, medium, and high modes for different uses. If you are a hunter, the tail cap switch will allow you to switch on/off the flashlight quickly and swiftly as you chase your kill. 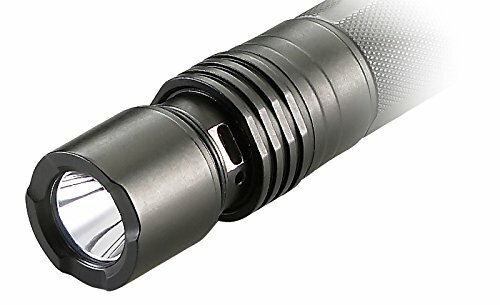 Maglite XL50 is powered by 3 AAA batteries that are housed in its precision machined high strength aluminum alloy body. Also, keeping this light after use is very easy as it has a pocket clip for attaching to your belt or pocket. With the excellent Maglite lifetime warranty, this is a wonderful flashlight to own. The Olight S1A mini EDC flashlight is definitely among the most reliable and sturdy EDC tactical flashlights. The flashlight is powered by a single AA battery. This flashlight is an upgrade of the popular s15 Baton. But it is more powerful with 600 Lumens. In addition, it has 5 light modes and a strobe for disorienting an attacker. If you are looking for the best small tactical flashlight then go for this. only using 14500 Lithium 3.7V battery type. Read details Olight S1 review here. With the thermal protection program, the S1A mini EDC flashlight will not overheat and damage the internal parts as it adjusts light modes after 1 minute. Also, it has a special feature which is the built-in timer, with a 3-minute short timer and 9 minutes long timer. Due to its compactness, using this flashlight is easy, and so is keeping it. When you talk about the best tactical flashlights, it is an insult not to mention ThruNite. On our list, ThruNite has been represented by ThruNite T10 flashlight. 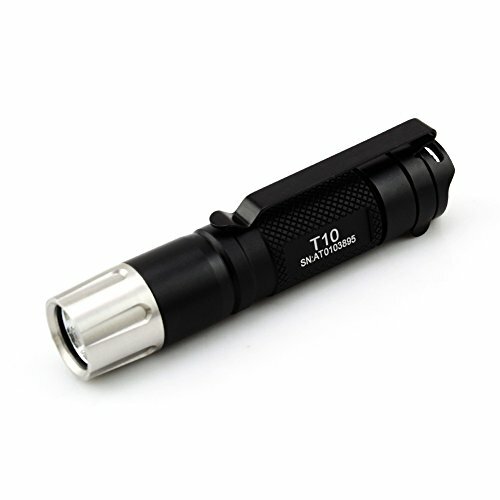 The T10 light is made of an aircraft-grade aluminum body with a hard anodized anti-abrasive finish. In addition, it has a toughened ultra-clear glass lens with anti-reflective coating for producing an excellent beam. The beam reaches up to 65 ft on a maximum of 252 Lumens. Outdoor enthusiasts, law enforcers, hunters, and emergency responders are some of the people that utilize this flashlight. This is because it can survive outdoor hardships like impact and wet conditions. It is also lightweight and can be stored with much ease. Use the three light modes for reading the map, lighting your path or to blind an attacker. Outlite is one of the most overlooked brands when it comes to tactical lights. But they have some bright and durable flashlights like the Outlite A100 flashlight. This is a complete tactical light with amazing features. It is not only sturdily constructed but can as well resist impact and its waterproof. Hence, you can use it outdoor. The holster is for easy carrying of the flashlight. 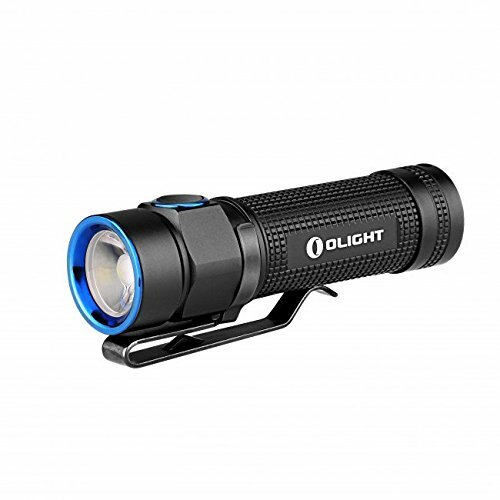 The Outlite A100 flashlight is powered by one 18650 lithium-ion battery or 3 AA batteries. These are not included in the purchase and you will have to buy them. It uses an LED bulb which is indestructible and has a long lifespan of 100, 000 hours. 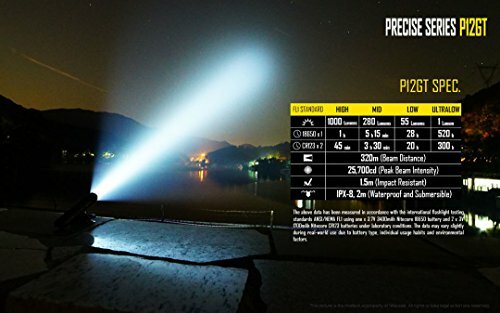 This flashlight will light your path clearly and even see distant objects as it reaches over 200m. Focus on one area or the whole camp by use of the adjustable focus feature. If you’re looking for a quality tactical flashlight at a favorable price, then the J5 tactical V1-Pro flashlight will suit your needs. Many users have confirmed that this flashlight can be relied on to perform even in wet conditions or rain. It is made of an indestructible LED light that produces very bright light on a maximum of 300 Lumens. If you ask me “What is the best tactical flashlight for the money?”, then my answer will be J5. The beam can cover up to 600 ft which huge. The light modes available for use include low, high, and strobe mode. Do you want to get the best affordable tactical flashlight then buy J5 V1. 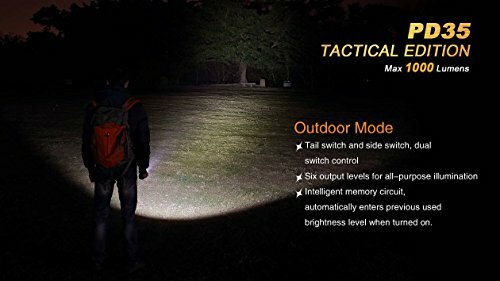 This is a wonderful tactical light for hunting, cycling, hiking, camping, fishing, security, and for day-to-day home use. Even though it is powered by one AA battery, it is still bright and will give you long hours of use. 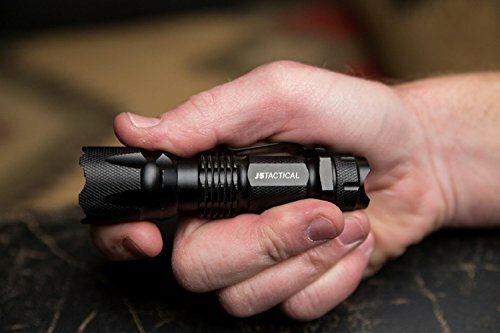 One of the features that sets it apart with other tactical flashlights is that it is very sturdy and can defy dropping from 9-foot. Also, its compact design makes keeping it be easy. When you purchase the device, the manufacturer offers a 100% satisfaction and a one year warranty. With a maximum of 1100 Lumens, the TN12 LED flashlight is a very powerful light and can cover a huge area. It is also powered by one 18650 battery. Simply, switch on the tactical tail cap switch and cycle through the 6 light levels using the side switch. The flashlight has a thick head design to make it be more drop-resistant. Additionally, the flashlight is rated as IPX-8, which means that it can function underwater for up to 2 meters for 30 minutes. Use this flashlight as you go hunting, hiking, camping, or for any other outdoor activity. It utilizes the indestructible Cree XP-L V6 LED bulb that provides the user with the option of choosing cool white or neutral light. This is a great flashlight for those looking for small everyday carry light. It offers users with different colors to choose from. The G2X series light is sturdily made with a tough nitrolon polymer that can resist corrosion, dust, and scratches. Moreover, it comes with an indestructible LED emitter that produces a very bright light on a maximum of 600 Lumens and a low light on a maximum of 15 Lumens. With its anti-roll body design and a dual tail cap switch, this is the best tactical flashlight for your everyday use. So, why you need a good tactical flashlight? If you are looking for a powerful, long-lasting, and reliable flashlight for use indoor or outdoor, tactical flashlight is the way to go. Since their creation, tactical flashlights have become a favorite of many. These flashlights are durably constructed and can withstand harsh conditions. They are very bright and run for long hours. Despite their robust construction, these flashlights perform better than normal LED flashlights. What is the use of a tactical flashlight? In the beginning, tactical flashlights were specifically built for military personnel and law enforcers. 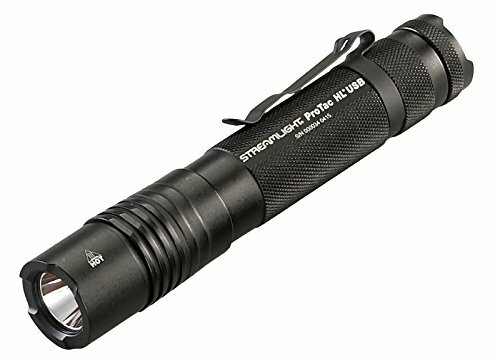 But today, tactical flashlights are widely used by mountain climbers, bicycle riders, shooters, campers, hunters, anglers, security guards, and for general use. Tactical flashlights are more powerful than the regular flashlights. They are built with military-grade materials, are waterproof, have an anti-slip body, are compact, brighter, and provide light for a longer period of time. These features have made people to prefer them over the normal lights. But, we have selected a list of the best tactical flashlight for the money. Although, the Tac flashlights are more costly than the normal lights. Ans. Tactical means “aiming at an end beyond the immediate action”. It could be planning or any type gears that we can take action immediately. Q. What is a tactical flashlight? Ans. If we relate tactical with flashlight then it means “A flashlight that can work immediately and can survive tough, rough condition”. Q. Is it legal to use a tactical flashlight? Ans. Yes, it is. A tactical flashlight is just like any other flashlight. The difference is that it is sturdily built and comes with extra features. Most of the tactical flashlights are constructed with military grade aluminum alloy and have a higher number of lumens. So, they are good for defending yourself when you’re in danger and can be used to hit the assailant after you’ve disoriented them. Q. How do I choose the best tactical flashlight for outdoor use? Ans. First and foremost, a good tactical flashlight should be able to withstand the outdoor hardships. It should be made of a durable casing, be waterproof, and very bright. Also, it should offer different brightness levels and have easy to use switch such as tail cap and side switch. A zoomable feature is also a plus for a tactical flashlight. And of course, it should use an LED bulb to provide light. Q. How do I fully utilize a tactical flashlight? Ans. Unlike the normal flashlight, a tactical flashlight can be used even in extreme weather conditions like rainfall, cold or in snow. Also, you can use it for the normal flashlight needs such as providing light or for tactical purposes such as blinding an attacker. In addition, you can use the hard front bezel to break glass with it. Depending on what you use the tactical light for, you may be forced to choose a small or large tactical flashlight. Ensure that you select from the best brand and at a great price. You don’t want being duped lighting and regretting later. After all, a flashlight can save you from the jaws of death. So, choose wisely. With our guide above on the best tactical flashlight, we hope that you can now choose a powerful, durable, and reliable tactical flashlight for your work or situation. I have read so many articles or reviews on the Tactical flashlight topic and used lots of flashlights as well. The Klarus XT11GT and Fenix PD35 is a great flashlight. I have both flashlights, tested and agree with your recommendation.